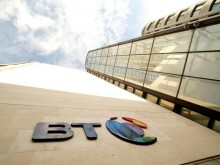 BT has completed the roll-out of high-speed, Wi-Fi technology across the hotel group’s entire estate, including properties in London and Manchester, as well as installing a new Wide Area Network (WAN) connecting all locations across the estate. This will provide the extra capacity needed to support the new Wi-Fi network. The new Wi-Fi technology provides the necessary foundations for Edwardian Hotels London to explore further enhancements to the in-room experience of each guest; this could include the introduction of IoT technologies such as connected lights, TV, air-conditioning, and app-based guest services. 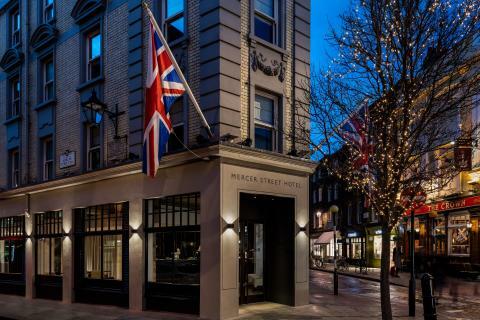 Michael Mrini, director of information technology, Edwardian Hotels London, said: “At Edwardian Hotels London, we are committed to delivering an exceptional experience, and seamless connectivity is just the beginning of that journey. By providing guests with complimentary furiously fast Wi-Fi on an unlimited number of devices, our guests can effortlessly stream their favourite shows and films on platforms such as Netflix or Amazon Prime, wherever they are in the hotel, while staying in touch with friends, family and colleagues from all over the world. All guests can enjoy download speeds of up to 150Mbps while visiting each of the hotel group’s properties, with consistent, reliable connection guaranteed throughout. In order to cater effectively to the needs of the high volume of international and business travellers staying at Edwardian Hotels London’s properties, the BT project management team initially conducted a wireless assessment at each hotel, to ensure the new solution would surpass customer expectations. Edwardian Hotels London’s incumbent infrastructure consisted of a legacy solution that was proving time consuming to manage, and was unable to cope with the surge in demand for voice and data services. “Our previous solution was not equipped to keep up with the rapid rate at which the innovation of personal devices is developing, or to enable the fastest speeds possible (5Ghz, Dual Band and WAVE 2), which was resulting in issues with VoIP (Voice over Internet Protocol) and video streaming”, added Michael Mrini, Edwardian Hotels London. Edwardian Hotels London’s new ability to analyse device network usage allows the management team to capture powerful insights into the requirements of their guests, transforming the way in which they constantly strive to enhance the customer experience. “Digital transformation in the hospitality sector is an extremely exciting place to be, and we look forward to delivering even more value to our customers in this space”, concluded Colm O’Neill, BT.